Category Archives: Summertime Fun in MWV! Summer Fun! The American Eclipse is coming August 21! White Birch Book is excited for Monday, August 21, when a solar eclipse will cut across the entire United States. And wherever you are, you will be able to see it! Even though the “totality” — the area where the sun is completely blocked out by the moon — is only 70 miles wide, the whole country (even Alaska and Hawaii) will experience a partial eclipse. The temperature will drop, stars will appear, and birds will become confused and start chirping their night time songs. It’s going to be awesome! So to get you prepared they suggest you pick up a copy of AMERICAN ECLIPSE by David Baron to read about the eclipse of 1878. Their Book Groups meet the second & fourth Thursday of the month and are open to any and all readers. Discussions are good, varied and – for the most part – stay on point. But they have a lot of fun, too. Stop in, meet some new friends and read some great books. Adventure in Mt. Washington Valley, Arts and Cultural Events, Events in Mt. Washington Valley, Family Friendly, Music in Mt. Washington Valley, Summertime Fun in MWV! Arts Jubilee presents The Highwaymen Live—a musical tribute to the country music super group made up of Willie Nelson, Johnny Cash, and Waylon Jennings—outdoors at Cranmore Mountain this Thursday, August 3rd at 7 pm. Perhaps the greatest country music super group in history, The Highwaymen traveled the world performing to millions of fans. Concertgoers will watch in amazement as each song, one hit after another, is sung just as if they were seeing the original band perform. This country music tribute show is full of upbeat, honky-tonk hits like Ring of Fire, Dukes of Hazard, and On the Road Again. Relive the glory days when county music was made by Good Men, Country Men, the Highwaymen. The Riley Parkhurst Project—voted ‘Best of the Mount Washington Valley’ in 2017—will be performing the opening concert at 6 pm. Admission is $12 for adults, $10 for seniors, $5 for students, and free for kids 12 and under. Tickets are available at the gate (we accept cash, Visa, and Mastercard). Please note that there is no seating provided at the venue, but attendees are welcome to bring blankets or set up lawn chairs. There is plenty of free, convenient parking on site. Food and beverages are available on the Zips Pub deck. Arts Jubilee requests that our audience comply with the following Cranmore policy: Dogs, with the exception of leashed service dogs, are not allowed on the property. The concerts are ‘rain or shine’ events, so we advise concertgoers to come prepared as they would for any outdoor events. Cranmore Mountain is located at 239 Skimobile Road in North Conway, NH. For more information. Arts and Cultural Events, Life in Mt. Washington Valley NH, Music in Mt. Washington Valley, Non-Profit News in the Valley, Summertime Fun in MWV! Experience Arts Jubilee’s annual family favorite traditional outdoor pops concert on Thursday, July 27th at the base of the North Slope at Cranmore. This year’s concert will feature The Seacoast Wind Ensemble, a 50-piece symphonic band performing pops favorites, light classics, and some familiar Americana. Fireworks will follow the concert, presented by Atlas Pyrotechnics. This is a family friendly event with convenience parking and indoor restrooms. Food and beverages are available for purchase on the Deck at Zip’s Pub, guests are welcome to pack a picnic lunch. Guests are asked to bring their own seating and to keep alcoholic beverages at home, please. Remember, this is a family event! Headline performances will begin at 7pm, but guests may enjoy an early “warm-up” performance at 6pm featuring local and professional musicians. This event has family friendly admission. Adult tickets are $12, seniors (65 & up) are $10, students are $5, and kids 12 and under are free. Tickets and payment will be received at the gate. Arts Jubilee is a non-profit cultural arts organization in the Mount Washington Valley with a mission to bring unique arts performances to New Hampshire. Since 1983, Arts Jubilee has been bringing exciting, world-class musical entertainment to the residents and visitors of the Mt. Washington Valley. Life in Mt. Washington Valley NH, Music in Mt. Washington Valley, Summertime Fun in MWV! Join Attitash on Saturdays from July 1st through Labor Day Weekend from 3-6pm for their 5th season of the Mountainside Summer Music Series. There is limited eating and shade available, so guests are encouraged to bring their camping chair to relax, sit back, and enjoy free outdoor live entertainment. Adults are welcome to purchase beer, wine, and special elixers from the Cantina Bar during the event. For more information, visit https://www.attitash.com/events-calendar/ or call (800) 223-7669. Chamber Events, Golf in Mt Washington Valley, Life in Mt. Washington Valley NH, Non-Profit News in the Valley, Summertime Fun in MWV! While the 16th Annual Mt. Washington Valley Chamber of Commerce Golf Tournament was originally scheduled for Friday, June 16th, Mother Nature had other plans! The rain date for this year’s tournament is Tuesday, July 25th at the North Conway Country Club. Join the Mt. Washington Valley Chamber of Commerce, golfers near and far, and event sponsors for a day of golfing fun. This tournament is a fun scramble format tournament for golfers of all abilities. Players are welcome to register as individuals for $120 per person or as teams of four players for $400. To register, visit www.golfmwv.com or contact Scott Gleason at 978-758- 1039. Registration for the event opens at 7:45am and runs until 8:50am, with announcements following registration and a shotgun start at 9:00am. There will be 5 hours of play time and a barbecue to follow the fun at 2:00pm. The awards ceremony will begin at 2:45pm. On Friday, July 21st-Saturday, July 22nd, participate in the largest annual fundraiser for the Mount Washington Observatory at the Annual Seek the Peak Hike-a-Thon. Hike the beautiful and challenging Mount Washington, explore the White Mountains Region of New Hampshire, raise money for a good cause, win prizes, meet and join other outdoor enthusiasts, enjoy the outdoor expo tents, explore the Weather Discovery Center, meet the staff of the observatory, dine and party with participants, and most importantly – SEEK YOUR PEAK! There is a $10 registration fee per person, and this fee counts towards the minimum $200 fundraising goal. Ask your network of family and friends to pledge you during the event and tell them about the cause! Participants may register in teams of up to 8 people. There are many ways to win prizes! The first 500 participants to raise $200 earn an exclusive Seek the Peak backpack and T-shirt. Join the event as a team to earn special prizes as the top fundraising team or the most spirited team, among other categories. For each fundraising milestone, starting at $200 and exceeding $20,000, participants may win select prizes for each milestone and are entered to win other fabulous prizes for their accomplishments. To see the full list of incentives, visit https://www.mountwashington.org/seek-the-peak/prizes.aspx. For more information on sponsorships, visit https://www.mountwashington.org/seek-the-peak/sponsorship.aspx. Since Seek the Peak was established in 2001, this great event has raised over $1.6 million for the nonprofit Observatory, helping it maintain its famous weather station on the summit of Mount Washington and continue its important work collecting weather data, performing research, and educating the public about the science of climate and weather. For more information, or to register, visit https://www.mountwashington.org/seek-the-peak/. Pack your gear – the mountains are calling! Family Friendly, Fun for Kids, Life in Mt. Washington Valley NH, Summertime Fun in MWV! Spend a day with Thomas™ July 21-23 & July 28-30 at the Conway Scenic Railroad at their Day Out With Thomas™ family event. Passengers take a ride with the classic storybook engine, Thomas the Tank Engine™ at the Conway Scenic Railroad at their largest summer event. This year, Percy will return to the railroad during the event and there will be two special “Autism-Friendly” trains this year, with controlled environments suited for families with children that are sensitive to noise. After their venture, each child passenger will receive a Junior Engineer’s Certificate, coloring sheets, and crayons from the Imagination Station. “Frodo the Walking Tank”, a large Sulcata Tortoise will be a passenger on the train to meet with guests. Tickets are $20 for ages two and up on Fridays and on Saturday and Sunday with 9:00AM, 2:00PM, and 3:00PM Thomas departures. Event ticks for any other Thomas departures are $22 per person. Rides with Percy are an additional $8 per person on any event day and time. The Conway Scenic Railroad asks interested ticket holders and current ticket holders to please read what’s included in their ticket prices and to plan for enough time to visit the area so you can enjoy all that the Conway Scenic Railroad the the Mt. Washington Valley has to offer for family fun! For more information, please call 800-232-5251 or visit http://conwayscenic.com/events/event/friendship-tour-2017. Adventure in Mt. Washington Valley, Life in Mt. Washington Valley NH, Sports in Mt. Washington Valley, Summertime Fun in MWV! NORTH CONWAY, NH – Knockerball North Conway will be making its Cranmore debut this July on Tuesdays and Fridays throughout the summer. The “Grand Opening” will be part of Cranmore’s Americana Celebration on Tuesday, July 4th. Organized “KnockerSoccer” games will take place in an 80ft by 40ft inflatable arena at the base of Cranmore’s North Slope. Open to guests 48” and up, 3 rounds of 4 minute games are played with up to 30 players during each time slot. Games start every half hour starting at 10am until 4:30pm. A variety of organized games can be played based on the number, size and age of participants. A Knockerball is an inflatable ball with inner handles and adjustable shoulder straps, which is worn like a backpack. The ball is designed with multiple sheets of a higher grade durable TPU plastic and tension cups and cords, which allows participants to knock each other around without feeling trauma from the blow. Knockerball or “bubble soccer” has been gaining traction in Europe, Australia, Japan and elsewhere. “We introduced KnockerBall to the Mount Washington Valley last summer and have seen a huge increase in popularity of the game.” said Matthew Milliken of KnockerBall, North Conway. “We guarantee a great time, and games normally break down into absolute laughter- it’s hysterical to watch and play.” he continued. “We continue to seek ways to enhance our summer events and are excited to offer this unique and fun game as an ongoing piece of our events calendar.” said Cranmore President and GM, Ben Wilcox. KnockerBall is valid with the purchase of a $13 Cranmore single ride ticket, or $65 6-pack of transferable tickets. A $10 upgrade can be purchased as an add-on to a Mountain Adventure Park, Aerial Adventure Park, Combo ticket or Summer Season Pass. Tickets can be purchased at Cranmore’s Ticket Office. Games are supervised and monitored at all times by trained staff to ensure safety of participants. Closed toed shoes are required. Games may be suspended due to heavy rain, high winds and thunder and lightning. For more information, visit http://www.knockerballnorthconway.com/. Lincoln, NH – Officials with the Sports Car Club of New Hampshire, organizers of the 2017 Subaru Mt. Washington Hillclimb planned for July 6-9, 2017 at the Mt. Washington Auto Road in Gorham, NH, are proud to announce that Howie Wemyss, General Manager of the Mt. Washington Auto Road, has accepted an invitation to serve as the Grand Marshal of this year’s Climb to the Clouds. Wemyss has served as General Manager of the oldest man-made attraction in the United States since 1987 and was instrumental in bringing the Mt. Washington Hillclimb back in 1990 after a 29 year hiatus. Having first been run in 1904, the Climb to the Clouds as it’s often referred, is the oldest automotive hillclimb in North America. Since the 1990 Climb to the Clouds, which attracted twenty or so drivers to Pinkham Notch to test their skills against the mountain after a 29 year hiatus, the event has grown exponentially thanks to Wemyss’ guidance and vision, along with the constant support of the owners of the Mt. Washington Auto Road. Throughout the 1990s, the hillclimb continued to grow, attracting as many as 60 top notch road race, rally and hillclimb drivers from across the United States and Canada for each event as well as a growing crowd of spectators. New records were set along the 7.6 mile course – first by local rally driver Tim O’Neil from Whitefield, NH in 1990 when he set a fastest time of 7 minutes 45 seconds piloting a rare all-wheel-drive Volkswagen Rally Golf. Record times continued in 1991, 1992, 1993 and 1995 – with multi-time Canadian rally champion Frank Sprongl recording a time of 6 minutes, 41.99 seconds in 1998 driving a 400 horsepower Audi Quattro S2 – a record that would stand for thirteen years. In 2004, in recognition of the centennial of the first hillclimb on Mt. Washington in 1904, the race was resurrected as a vintage only event that gathered over 25 vehicles with past Mt. Washington hillclimbing and auto racing history. In 2011, the Climb to the Clouds was seen as one of the key events needed in a summer long celebration in support of the Mt. Washington Auto Road’s 150th anniversary. With organizational assistance from the Sports Car Club of New Hampshire and Vermont SportsCar, the Mt. Washington Hillclimb roared back to life after ten years attracting nearly 75 cars and drivers from across the United States, Canada and Europe. This time, multi-time Rally America National Champion David Higgins from the Isle of Man set a new record time of 6 minutes 11.04 seconds driving a Vermont SportsCar-prepared 2011 Subaru WRX STI for Subaru Rally Team USA. With the excitement for the race now rekindled, Wemyss met with members of the Sports Car Club of New Hampshire to discuss the possibility of bringing the Nation’s oldest hillclimb back to Mt. Washington every three years or so. In 2014, with 80 teams making their way to Pinkham Notch from across North America and the United Kingdom, yet another record was set on the Northeast’s tallest peak – a blistering fast time of 6 minutes, 9.09 seconds set again by Subaru Rally Team USA’s driver, David Higgins, along with his talented co-driver, Craig Drew, driving their 2014 Subaru WRX STI. In 2017, Wemyss and his talented team at the Mt. Washington Auto Road will once again work with the Sports Car Club of New Hampshire to welcome back 80 teams to Green’s Grant in Pinkham Notch, just 8 miles south of Gorham, NH, when the Subaru Mt. Washington Hillclimb returns to the Auto Road July 7-9, 2017. With 18 or more states represented as well as the countries of Romania, Finland, Scotland, Ireland, Canada and Australia, as well as the United States of America, the event will be the most international automotive hillclimb the Mt. Washington Auto Road has ever held. Set for July 7-9, 2017, the Subaru Mt. Washington Hillclimb will serve as a 3-day motorsports festival filled with a variety of motorsports-oriented activities for all ages including a vendor area, historic car displays and a possible autograph session topped off by the return of the Subaru Mt. Washington Hillclimb along the 7.6 mile Mt. Washington Auto Road on Sunday, July 9, 2017. For more information regarding the 2017 Subaru Mt. Washington Hillclimb, including the events history and list of record times or how to purchase spectator tickets to view the race from the base area or along the course visit http://mtwashingtonautoroad.com/climb-to-the-clouds. Life in Mt. Washington Valley NH, Non-Profit News in the Valley, Summertime Fun in MWV! On Saturday, July 8th and Sunday, July 9th, The North Conway Public Library will host its Annual Gigantic Book Sale from 9am to 3pm. While many of the books available to purchase are donated privately by community members, approximately 10% of the available books are for sale as library discards. Shoppers can browse through a selection of thousands of books of every category: adult, children, young adult, fiction, nonfiction, antique & rare books, coffee table books, hardcovers, paperbacks, and audio books (books on CD). In addition to books, there will be DVDs and music CDs available for purchase. For more information, call the North Conway Library at (603) 356-2961 or email them at info@northconwaylibrary.com. Community Connections, Events in Mt. Washington Valley, Family Friendly, Fun for Kids, Holiday Happenings in Mt. Washington Valley, Summertime Fun in MWV! The Independence Day of the United States is quickly approaching and the Mt. Washington Valley has many ways for you to celebrate! The towns of Bartlett, Gorham, and Conway as well as Fryeburg, Maine are putting on 4th of July Celebrations. The Annual Hellen Hayes Memorial 4th of July Parade will start at 11am and there will be a BBQ and live music following the parade at noon. For more information, visit http://www.townofbartlettnh.org/. The Town of Conway 4th of July Parade will start at 1pm, with activities at Schouler Park in North Conway beginning at 3:45pm. The community is welcome to enjoy food, music, and fireworks, beginning at 9:30pm. For more information, visit http://conwaynh.org/. Gorham rings in the holiday with New Hampshire’s longest 4th of July celebration, an event that spans four days over the July 4 weekend. The celebration promises hours of fun, food, and merriment, including parades, music, amusements, and a classic car show, topped off with a brilliant and memorable firework display. Times and schedule TBA. For more information, visit http://www.gorhamnh.org/Pages/index. The Town of Fryeburg’s 4th of July Parade will start at 10am. For more information, visit www.fryeburgrec.com. 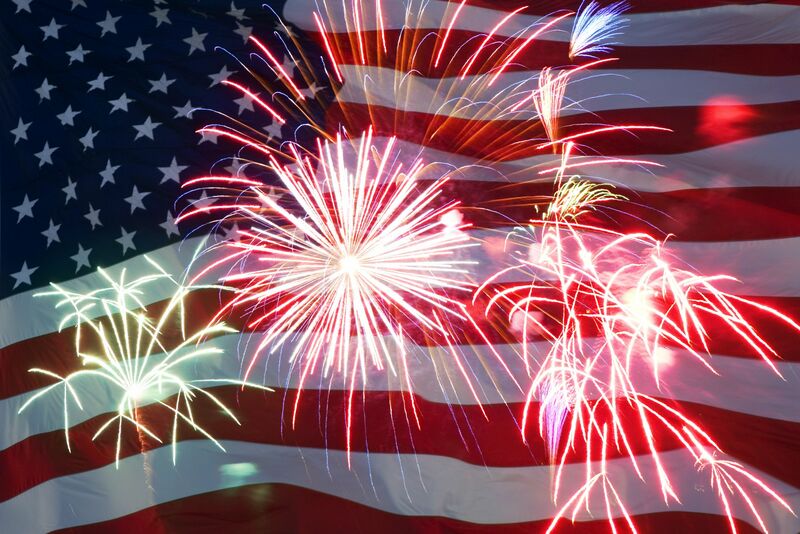 Happy 4th from everyone at the Mount Washington Valley Chamber of Commerce! Family Friendly, Life in Mt. Washington Valley NH, Music in Mt. Washington Valley, Summertime Fun in MWV! North Conway – With summer fast approaching, Arts Jubilee is gearing up for its 35th year of bringing world-class, live music performances to the Mount Washington Valley. Arts Jubilee is staging a 5-week summer concert series at Cranmore Mountain, which will run weekly on Thursday nights from July 13th through August 10th. This year’s lineup includes the return of some fan favorites, as well as some renowned first-timers. The Beach Bums will usher in the sound of summer as they pay tribute to the Beach Boys on July 13th, followed by Celtic-rockers Ceili Rain on July 20th. The Sousa-style Seacoast Wind Ensemble will perform a traditional Pops Concert, featuring a fireworks show, on July 27th. On August 3rd the Highwaymen Tribute will perform the music of the country music supergroup made up of Willie Nelson, Johnny Cash, and Waylon Jennings. The eclectic Martha’s Vineyard-based Entrain will perform the final summer concert on August 10th. The public is invited to celebrate this milestone season and help fund these outdoor, family-friendly concerts at Flatbread Pizza Company on Tuesday, June 20th from 4-9 pm. Flatbread is generously donating a portion of all pizza revenue to benefit the 2017 season. Arts Jubilee counts on the generosity of its community in order to offer these shows. Fundraisers such as the one coming up on June 20th is just one way to support the cause. Concert admission is $12 for adults, $10 for seniors (65+), $5 for students, and free for kids 12 and under. Season passes for two will be available at a discount ($95 for a $120 value) at the Flatbread Fundraiser, as well as a fun game offering free tickets to the Arts Jubilee concerts. For more information on the upcoming season visit www.mwvevents.com.